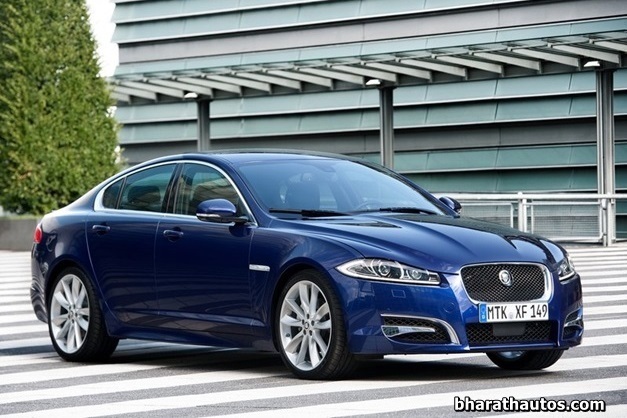 Tata Motor’s British subsidiary Jaguar luxury and sports car maker has announced the launch of first ever made in India 2013 Jaguar XF. 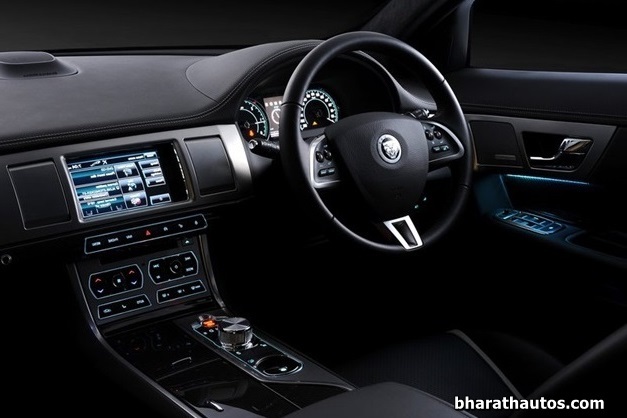 The Jaguars XF will be built alongside Land Rover Freelander 2 vehicles at the Chikli plant off Pune, a former Mercedes Benz-Tata facility that has been converted for use by Jaguar-Land Rover. 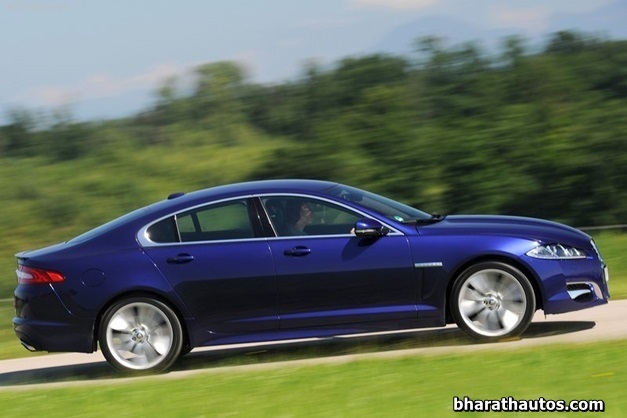 The initial Pune-built Jaguar XF models will feature the company’s acclaimed 2.2-litre diesel engine, which enables the company to offer the Jaguar XF at more competitive pricing. 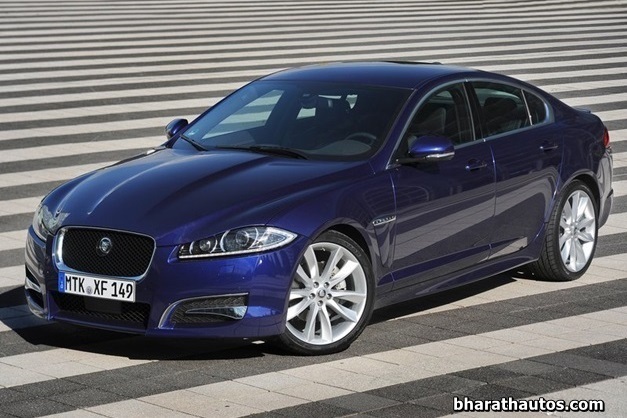 The locally manufactured Jaguar XF, will now be available at an entry price of Rs 44.5 lakh (ex-showroom, Delhi). This new model will be available in ‘Luxury’ trim only. Although the 2.2-litre Jaguar XF now becomes the entry level variant from the XF line-up but the company has not skipped on equipment and has offered rear view camera, navigation system, touch screen, TV Tuner, paddle shifts on steering wheel (no other rival offers this feature), electric sunroof, full sized spare wheel, electric seats and electric rear screen blind as standard. The changes on the entry level variant from the XF line-up are minimal with a single exhaust tailpipe while the V6 and V8 variants get two. Also the wheels on the XF 2.2 are slightly smaller too – at 17-inch diameter – as compared to the 18-inch wheels on its more expensive siblings. The 2.2-litre turbo diesel engine plonked on XF sedan, is the same engine that is also found on the likes of the Freelander2 SUV and the Evoque Crossover. The Jaguar XF 2.2 i4 Td offers 190PS of power with a torque measure of 450Nm. The diesel mill is mated to a new ZF 8-speed transmission that has resulted in improved fuel economy and reduction in emissions. 0 – 100 kph takes 9 odd seconds while the top speed is 225 kph. 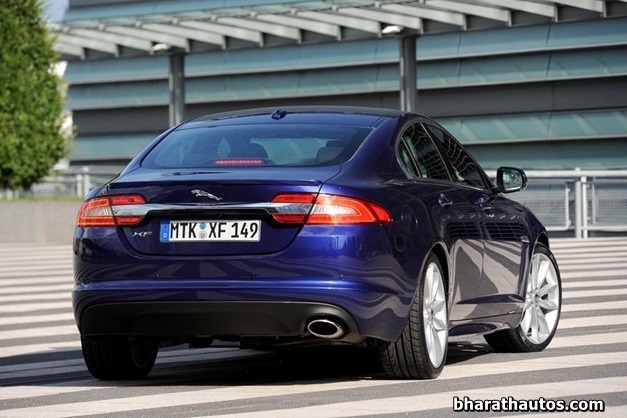 Apart from the XF 2.2 diesel luxury sedan, the XF sedan sold in India also gets a 3.0-litre V6 turbo diesel motor and a 5.0-litre V8 Supercharged high performance engine. The new entry-level model of the Jaguar XF is priced cheaper than the BMW 525d, but pricier than the class leading Audi and Mercedes Benz models. Check out more pictures below the jump.